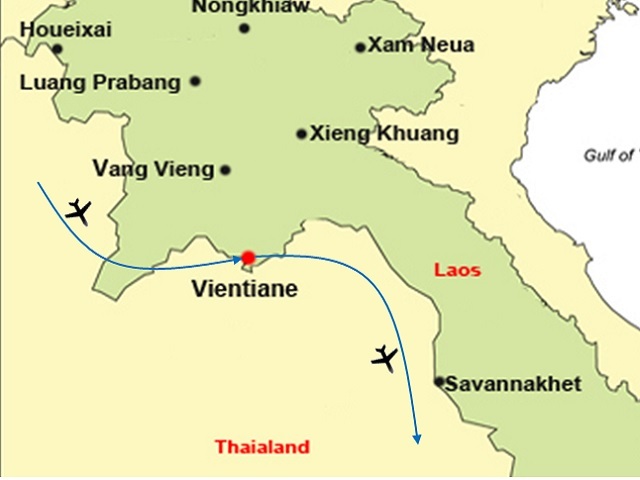 Enjoy yourself in the charming capital of Laos with the tranquility of atmosphere and richness of culture. Traditional ceremonies of Lao culture, and received bless for your marriage from local elderly. Admiring the incredible beauty of Laos through its magnificent religious sites, unspoiled nature and warm-hearted people. Pick you up at hotel and start to visit Wat Sisaket, the city's oldest temple. Dates back to 1818, Wat Sisaket is the most important heritage temple now standing in Laos. It houses thousands of Buddha images from many countries, long lost architectural styles, sculptures and paintings; Wat Prakeo, former royal temple of the Lao monarchy and originally built in 1565, is home to the Emerald Buddha image, Buddhist sculptures are displayed along the perimeter wall, including a 6th to 9th century Dvaravati-style stone Buddha and several standing and sitting Buddhas. On the way to the famous and sacred structure of That Luang Stupa, stop to take some pictures of the imposing Patuxay Monument, Vientiane's own Arc de Triumph. In the afternoon, we take a short drive out of the city to visit the Buddha Park where hundreds of Buddhist and Hindu sculptures brought from India are displayed. Transfer back to your hotel. End of service.